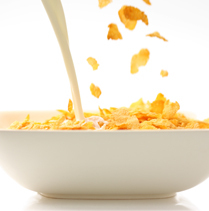 Check out these quick tips to navigate lactose intolerance! Lactose intolerance is the inability to digest significant amounts of lactose (milk sugar found in dairy products). It is caused by a shortage of the enzyme lactase, which is produced by the cells that line the small intestine. People who lack this enzyme are unable to completely digest the lactose into its simpler form: glucose and galactose. 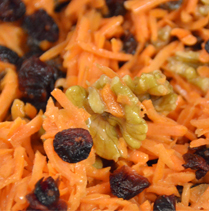 This can lead to digestion discomfort such as bloating, cramping, gas pains, and loose stools. Lactose intolerance is not a food allergy. 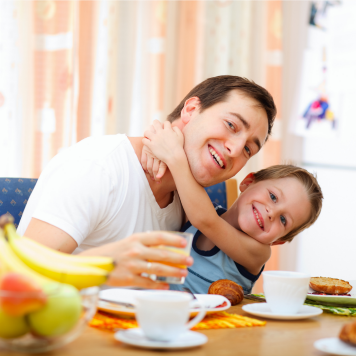 What are calcium-rich food choices for my kid with lactose intolerance? Lactose-reduced milk such as Lactaid™ or lactose tablets can be utilized to minimize problems associated with lactose intolerance. Yogurt is often tolerated in individuals with lactose intolerance. 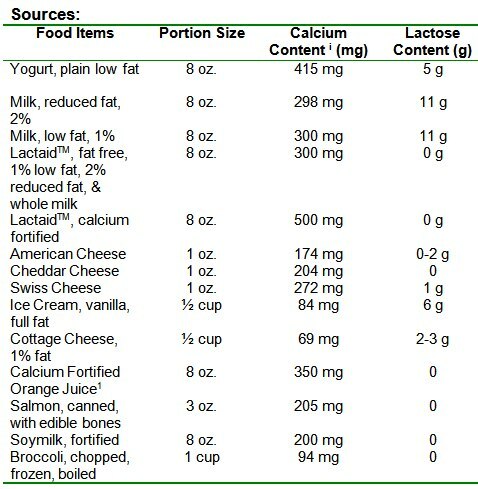 For those who do not like the taste of lactose-reduced milk, there are other ways to incorporate calcium into your diet. Food sources of calcium are listed below. To learn why calcium is important in your child’s health, see The Calcium Connection.